I grew up in Colorado and have had quite an adventure in life! 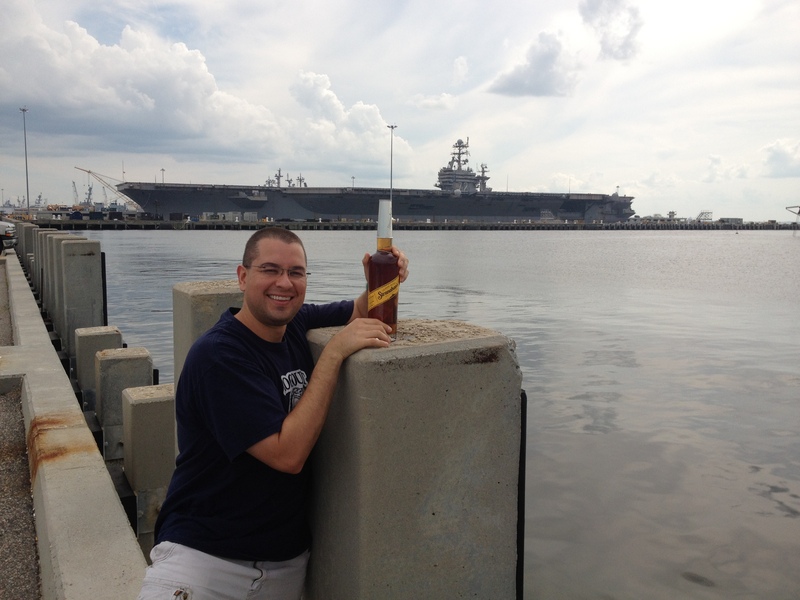 I am a musician (I play tuba), I have worked in management, retail, the music industry for independent record labels, am part of the Navy family, and now I’m writing about whiskey! During my early 20’s I actually did not like whiskey, turning my nose up to it in favor of Vodka and Rum. Coming from Colorado, the unofficial beer belt of the United States, it was only natural that I began to appreciate the unique and artisan beers found all over the state and region. Beer held me for quite some time, and I think that appreciation for different flavors and grains gave birth to a palate in tune with the materials and processes for creating whiskey. In 2009 I had my first Scotch and an awakening occurred, I found this drink to be irresistible! I had to get more, try all there is, and learn about it! My research began. I found all the books I could and read about the process. How it is made, what to look for, its history and understanding the different places whiskey comes from. I wanted to learn more and everything I could, but the real pay off was the ability to sample these different places from around the world. Each distillery has its own character, its own unique signature and when I get to sample the different whiskeys, it is as though I am traveling to the rackhouse itself and giving thanks to all the work put into making this simple and infinitely complex drink. I did not want these experiences to be lost, so I started a journal. I began to collect whiskey and my stash grew and grew. Going to the store to pick up a new bottle of whiskey is like being a kid again. The anticipation of finding something new, the different choices, the unique and interesting bottle shapes, all of it is like candy! My only problem is the collection grew faster than my ability to drink it, so now I have a back log, a list of whiskey bottles that need to be popped open. When I sample I focus on one bottle and it usually takes one or two weeks to finish so the process has been somewhat slow. Over time my journal gained depth, but I was a novice trying to put into words what I was experiencing. I must give credit to one book that has been instrumental in my understanding of how to describe whiskey, Jim Murry’s Whiskey Bible. From it I have been able increase my vocabulary used to describe whiskey and it has been instrumental in helping me find my way through flavors and aromas. So my journal took shape, my writing increased, I found a judging system which works for me, and I truly began to appreciate the new and interesting. I started to attend tastings and I shared these experiences with friends and other whiskey enthusiasts, all of whom suggested I start a blog, and this brings me to the creation of this site and my writings to you. I hope you have enjoyed this brief look into my life, and I thank you for taking the time to read it!